Author: Yopp, Chuck Set In . . . Description: Greetings From Asbury Park, NJ A Look At The Local Scene. is an excellent compilation of extremely rare photographs of Bruce Springsteen. Documented from the small night clubs from Asbury Park NJ. This Springsteen book is a testimony of Bruce Springsteen jamming with his friends, along the Jersey Shore. 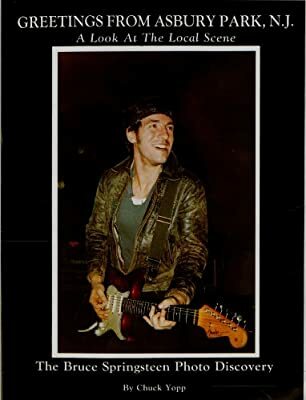 This Bruce Springsteen book is definitely a masterpiece and shows you many photos of Bruce Springsteen in his infancy. Truly a must for any Springsteen collections.